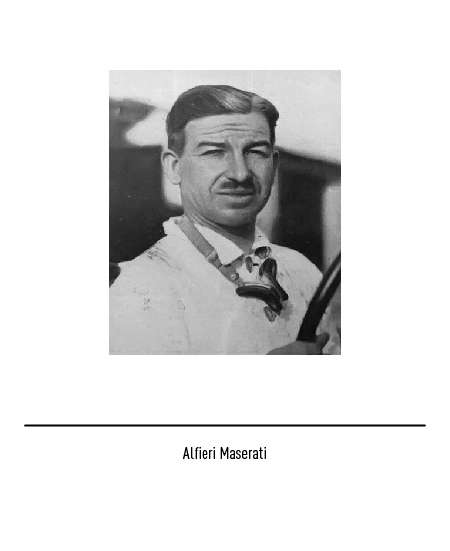 Maserati/In 1914 Alfieri Maserati established the "Societá anonima officine Alfieri Maserati" (Anonymous society Alfieri Maserati garage), a garage for the manufacturing of the Isotta Fraschini cars. 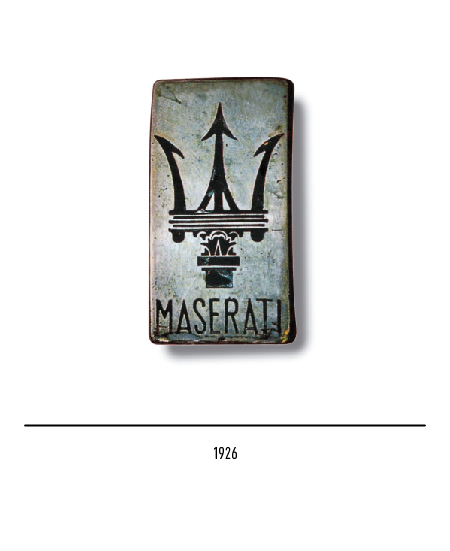 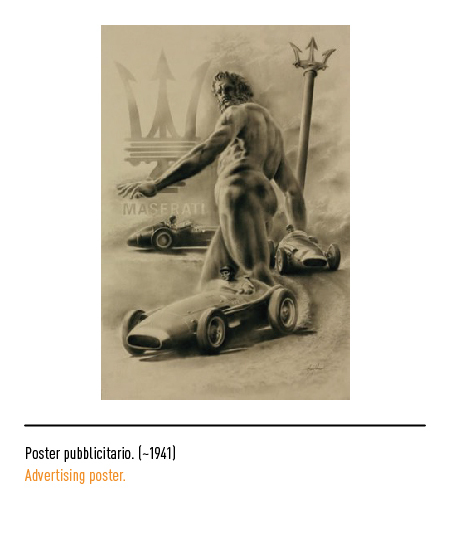 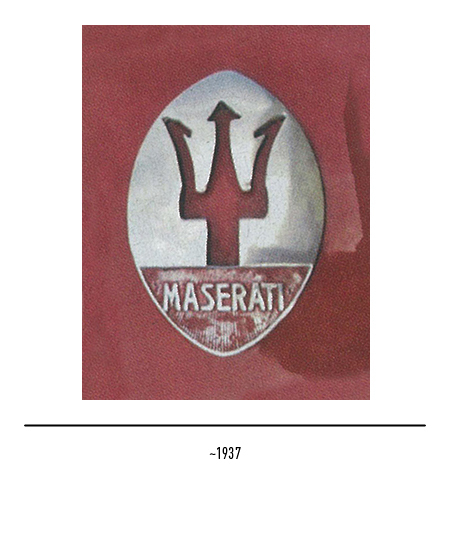 In 1926 the first actual Maserati car, the Tipo 26, was built, featuring the first logo which will characterize Maserati throughout its history: the trident belonging to the statue of Neptune placed in the fountain in Piazza Maggiore in Bologna, symbol of power and royalty. 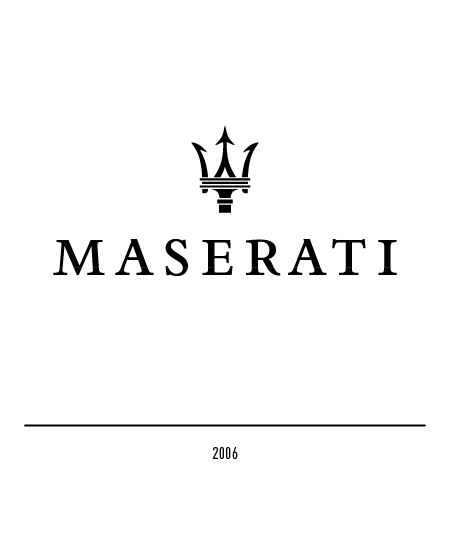 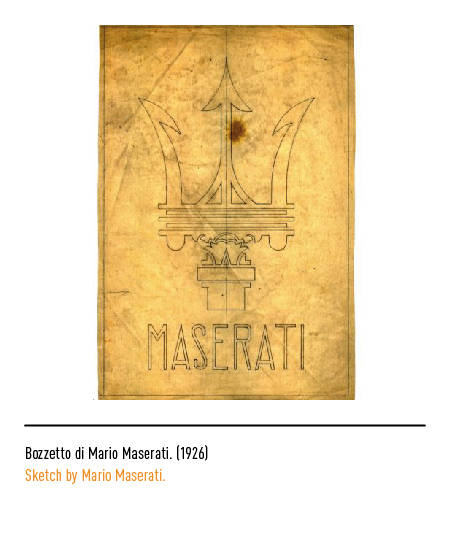 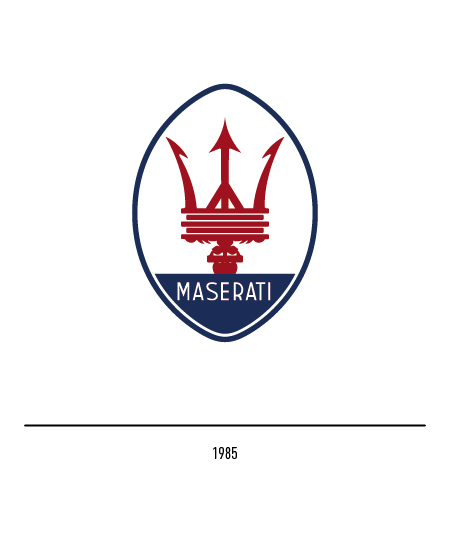 The logo was designed by Mario Maserati, the brother which had a passion for arts rather than for cars, under the suggestion of the marquis Diego de Sterlich, great family friend and backer of the carmaker. 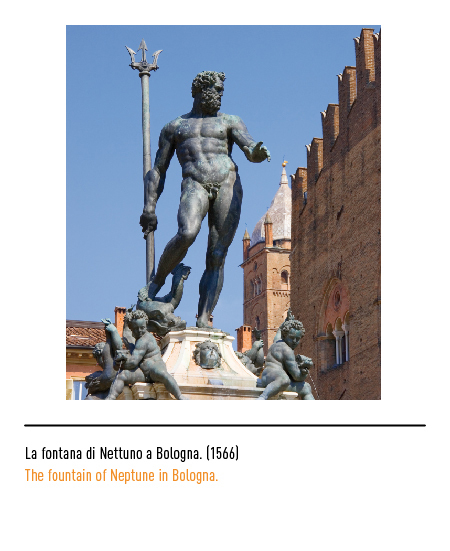 The colours too, red and blue, have their root in the city of Bologna. 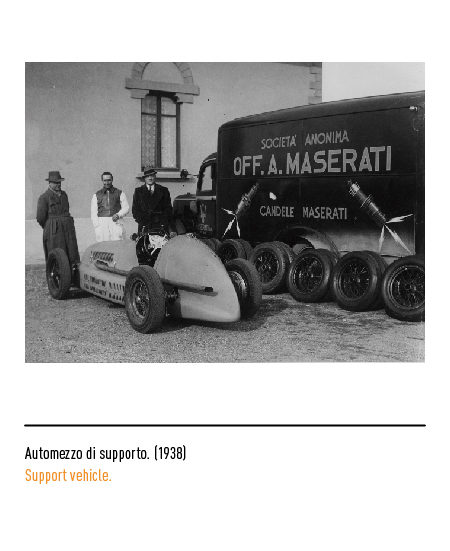 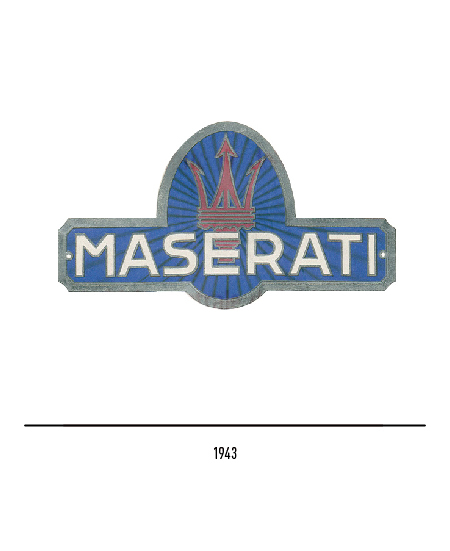 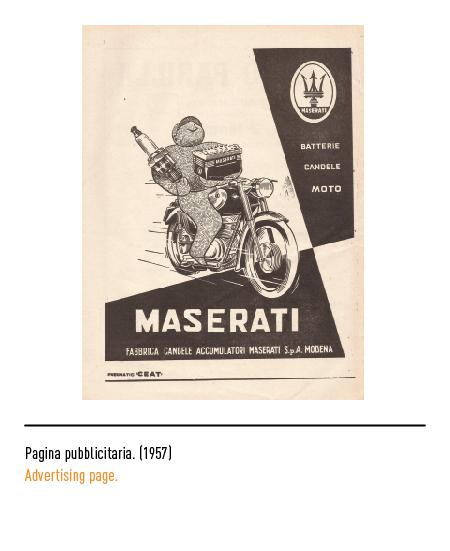 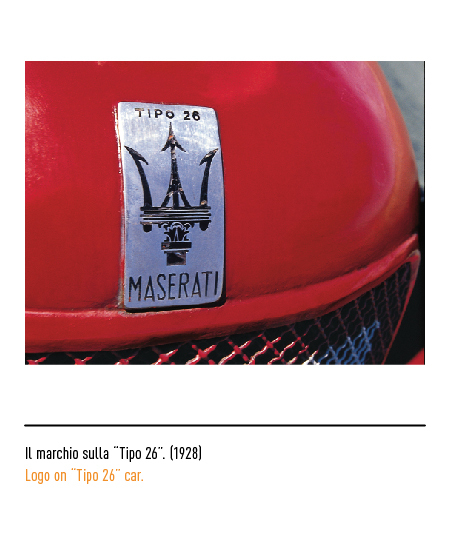 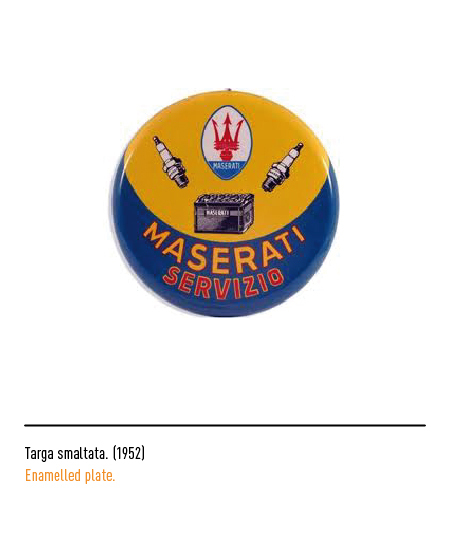 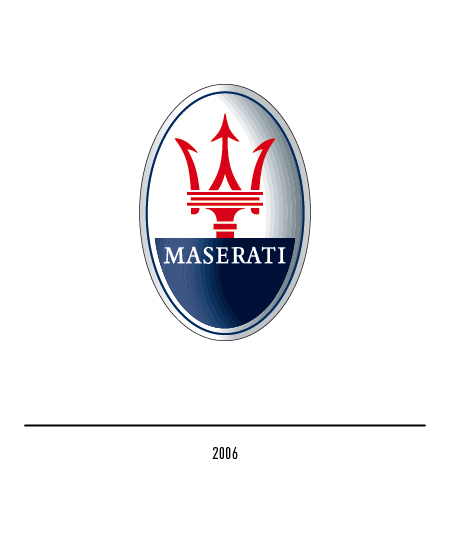 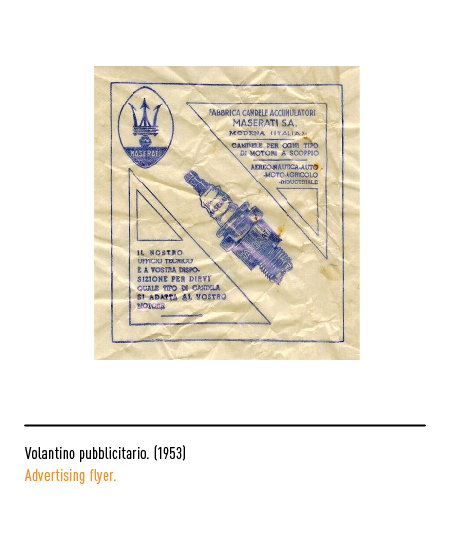 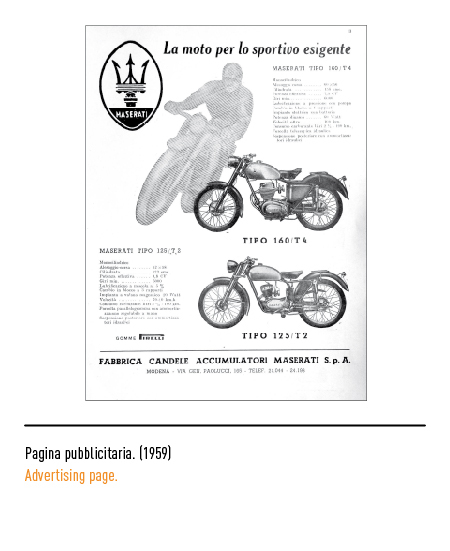 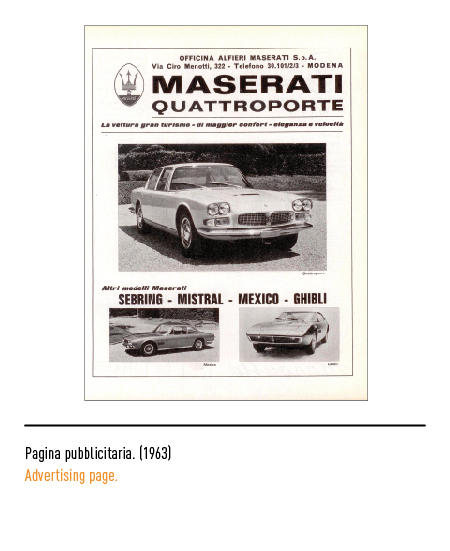 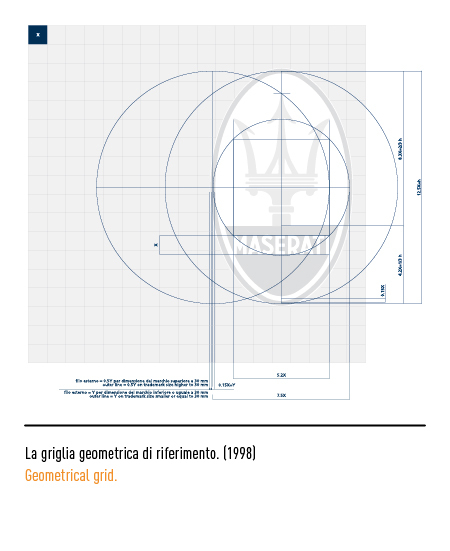 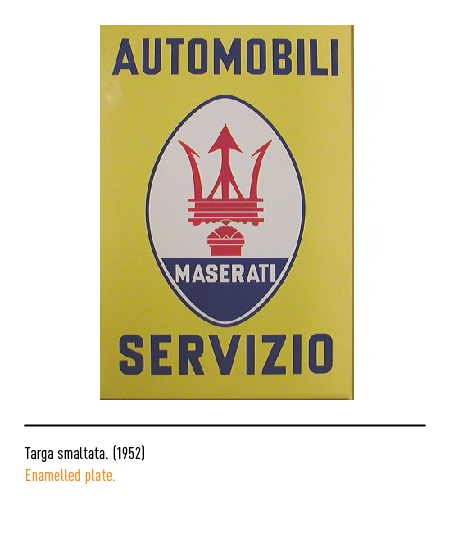 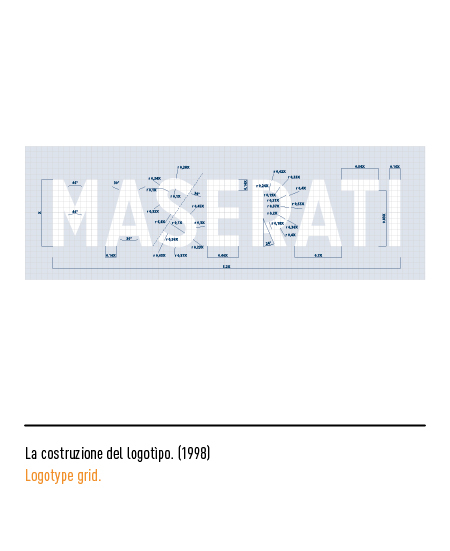 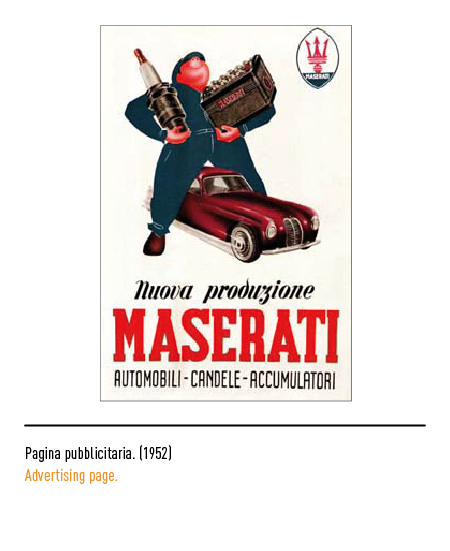 In 1937 the firm is sold to a family from Modena, the Orsi, whose empire went from the foundries to the metal manufacturing; from such merging two companies were born, bearing the same exact logo : the "Officine Alfiero Maserati" specialized in the manufacturing of the cars and the "Fabbrica Candele Maserati" for sparkplugs and batteries. 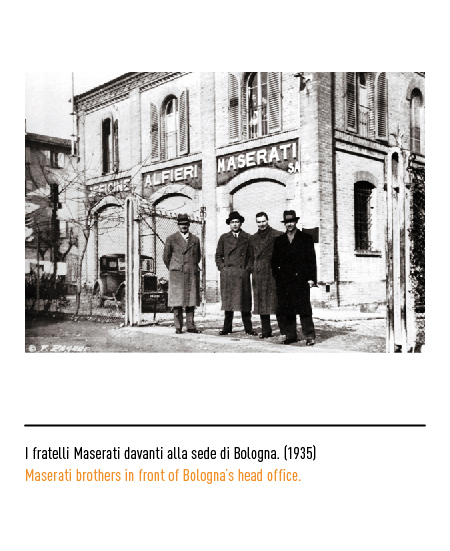 Since then the company moved its headquarters to Modena. 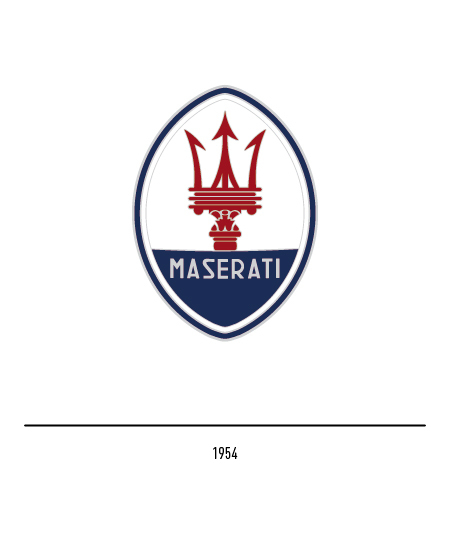 In 1951 the logo was inserted in an sharp oval shape; in 1954 there were versions featuring a round shape, possibly due to the absence of regulations. 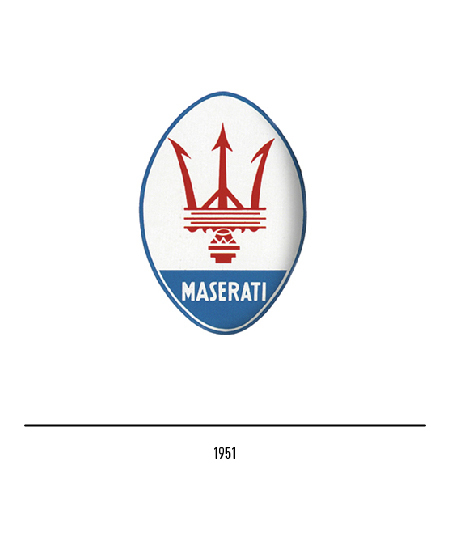 Maserati was then bought by Citroën, after some troubling events, which continued even after the merging, leading to a big crisis in 1973. 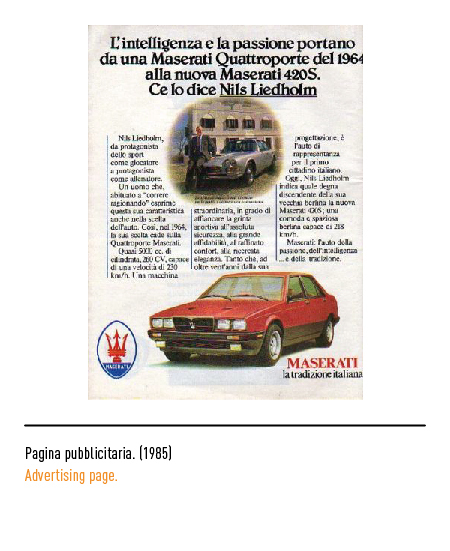 In 1975 Maserati was acquired by the Argentinian Alejandro De Tomaso; Michele Spera took then care of the restyling, which consisted in adding light blue to the trident. 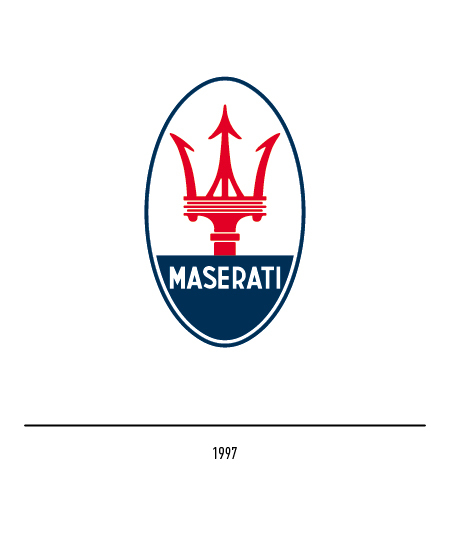 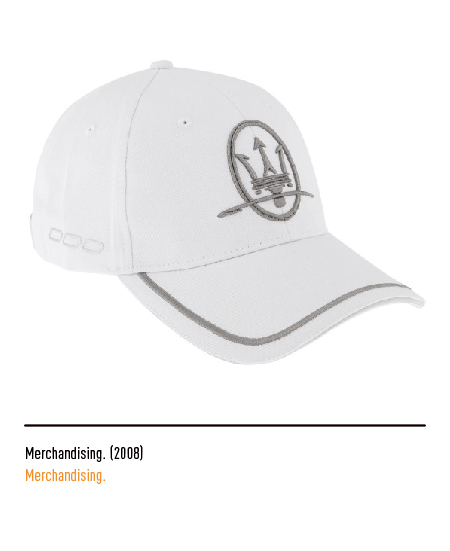 In 1985 there is a comeback to the traditional logo, with modification to small details on the trident and its structure. 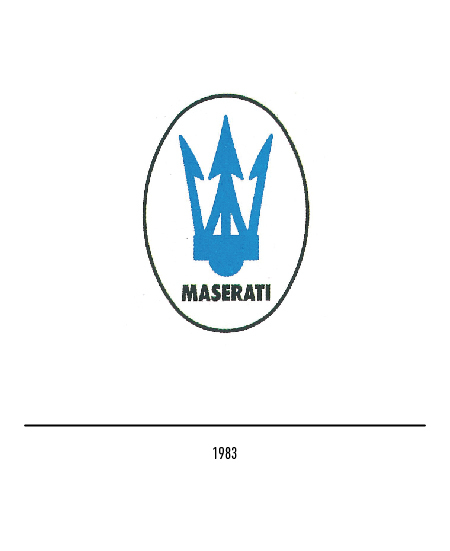 In 1993 the firm was merged with Fiat and in the same year the logo underwent a restyling, appointed to Ubaldo Righi along with Iosa Ghini Associati. 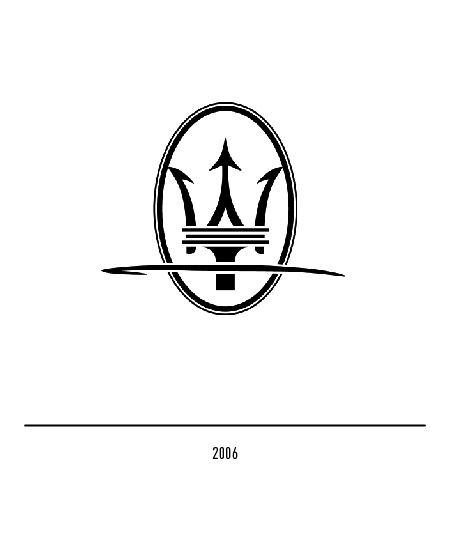 The oval shape was elongated and the structure of the handle of the trident was simplified; the logotype was restyled too, recalling the one from 1951. 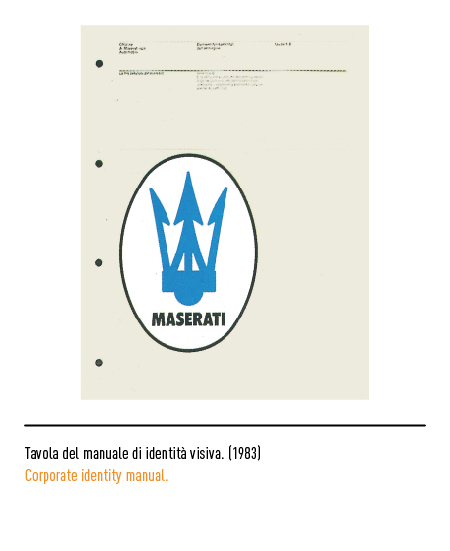 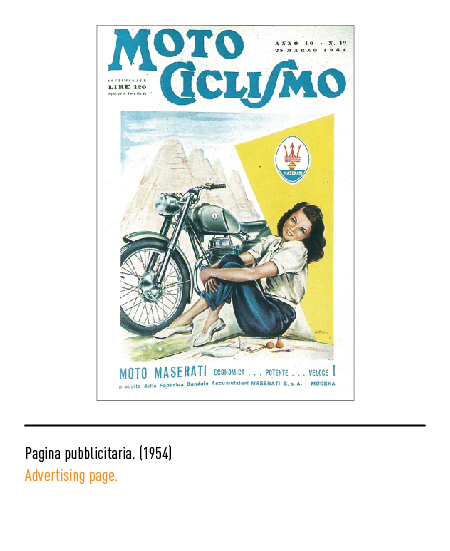 Still there was presence in the communication management of different logos, which created confusion both inside and outside the firm; as an example, a logotype from the fifties was still present. 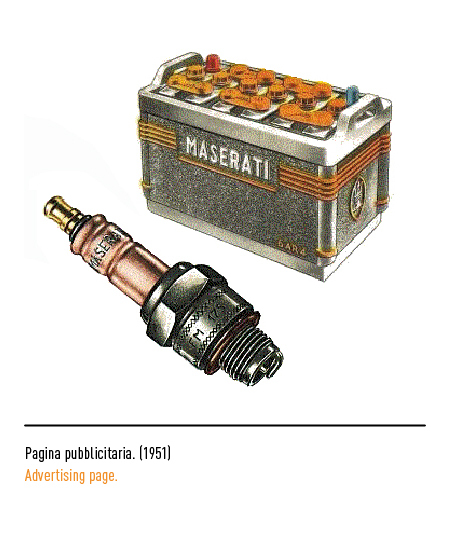 In 2003 Fiat decides to start an advertising campaign to promote the new products manufactured by the company, especially of those directed to foreign countries. 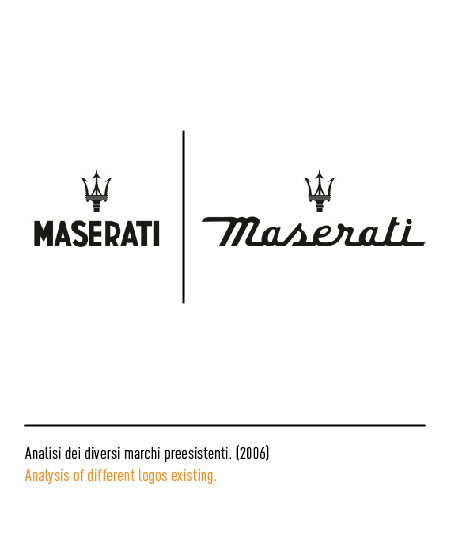 The entire corporate design is reinvented and new rules are established regarding the logos: firstly, the font for the logotype was the font Bembo, invented in the XV century by Francesco Griffo of Bologna. 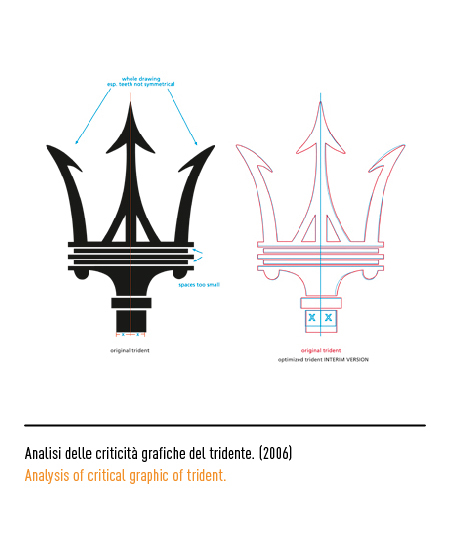 The second modification concerned the central tooth of the trident, which is lightened, and includes also a simplified version to have better resolution in small sizes. 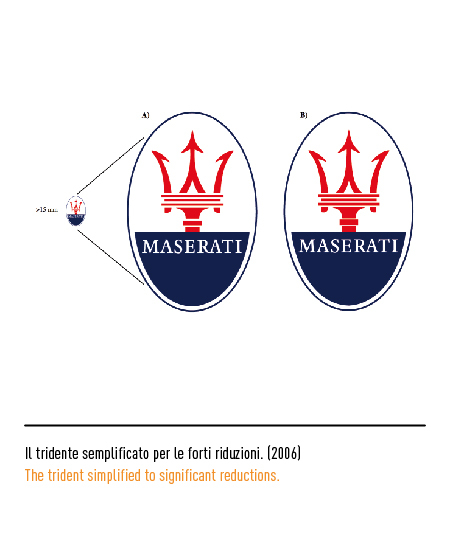 There are also two different combinations of the oval shape and trident: the oval logo to be used in corporate communications, while the logo without the oval, completely black, to be used in every press or marketing related communication. 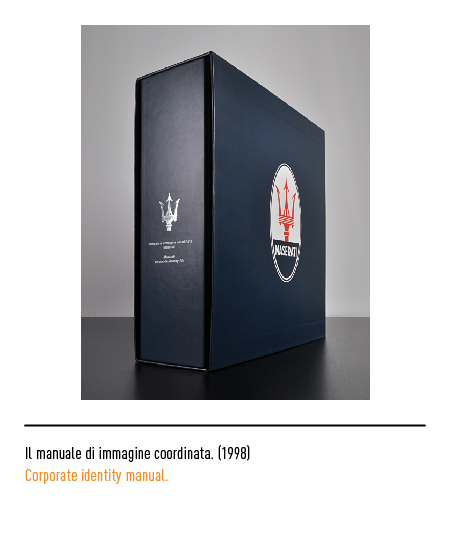 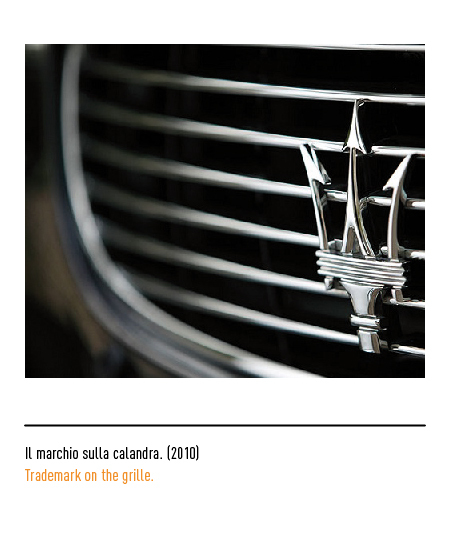 One last surprise is the "saetta" Maserati, to be used as signature only for "below the line" products. 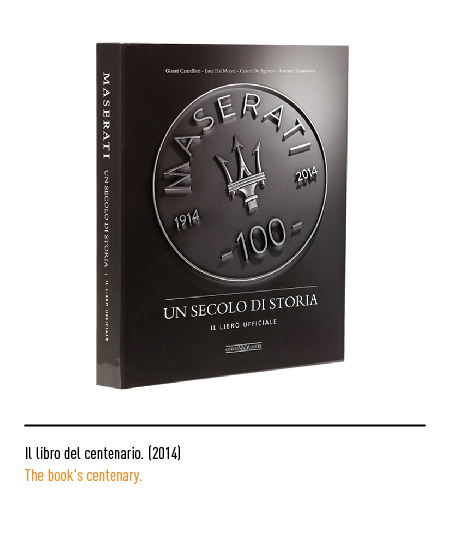 Gianni Cancellieri, Luca Dal Monte, Cesare De Agostini, Lorenzo Ramaciotti, MASERATI UN SECOLO DI STORIA, Giorgio Nada Editore, Milano, 2014.